The weather has cleared up and it looks like it will be another beautiful day. 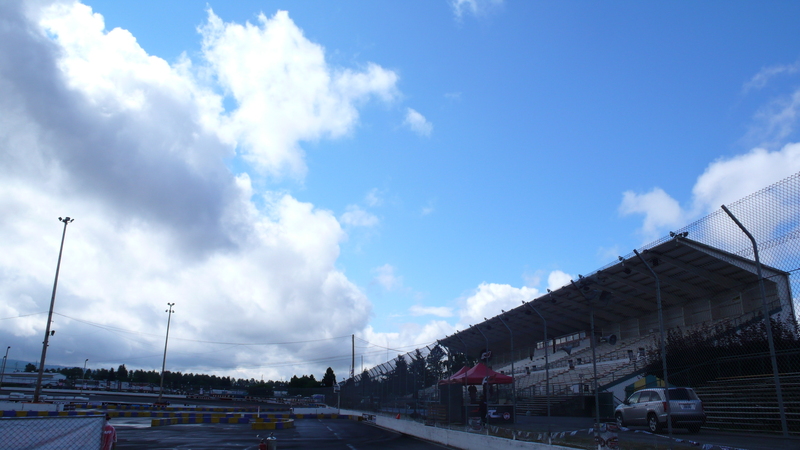 Be sure to come out and enjoy the event at Evergreen Speedway in Monroe, WA. 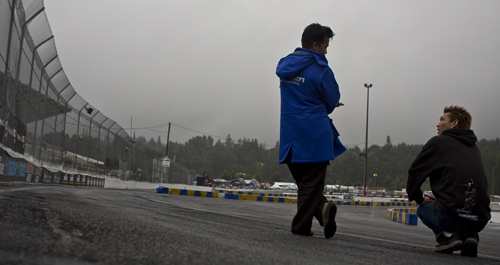 Today’s event will be RAIN or SHINE at Evergreen Speedway – Monroe, WA. We are live at the track and the light showers are starting to clear. 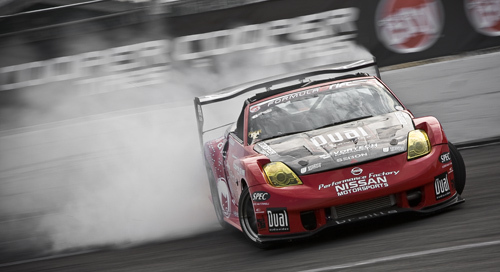 Formula DRIFT will continue with the event and this will be sure to be another exciting event. Just in case bring your umbrellas, ponchos, and rain gear, however 60% of the grandstands are covered. So get here early and save your seat. Here are some highlights from today’s Qualifying sesssion. It’s shaping up to be a very competitive competition tomorrow. Stay tuned for more!!! We are here live at Round 5: Breaking Point at Evergreen Speedway in Monroe, WA (just outside Seattle). It is a cool and breezy day, but no signs of rain. 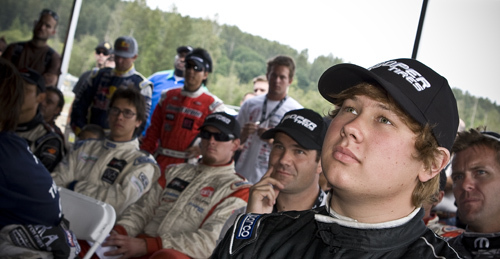 The course is currently being laid out and the drivers are prepping their cars. This looks to be another exciting event! Stay tuned for more updates, standings, and don’t forget to watch the FD LIVE for a LIVE Video Stream from today’s practice.